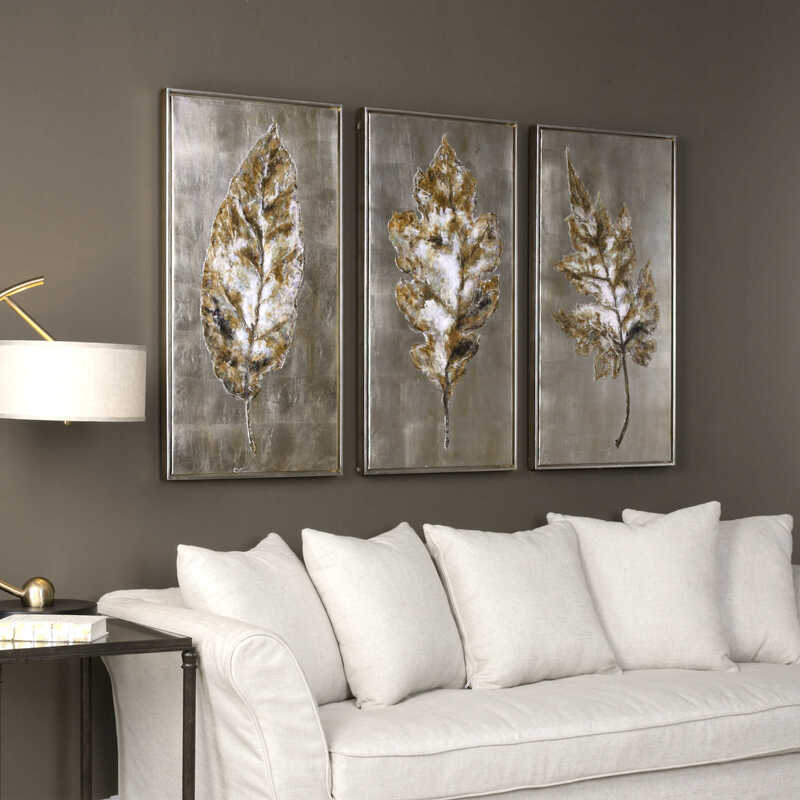 Contemporary in design, these hand painted canvases feature rich, metallic hues. 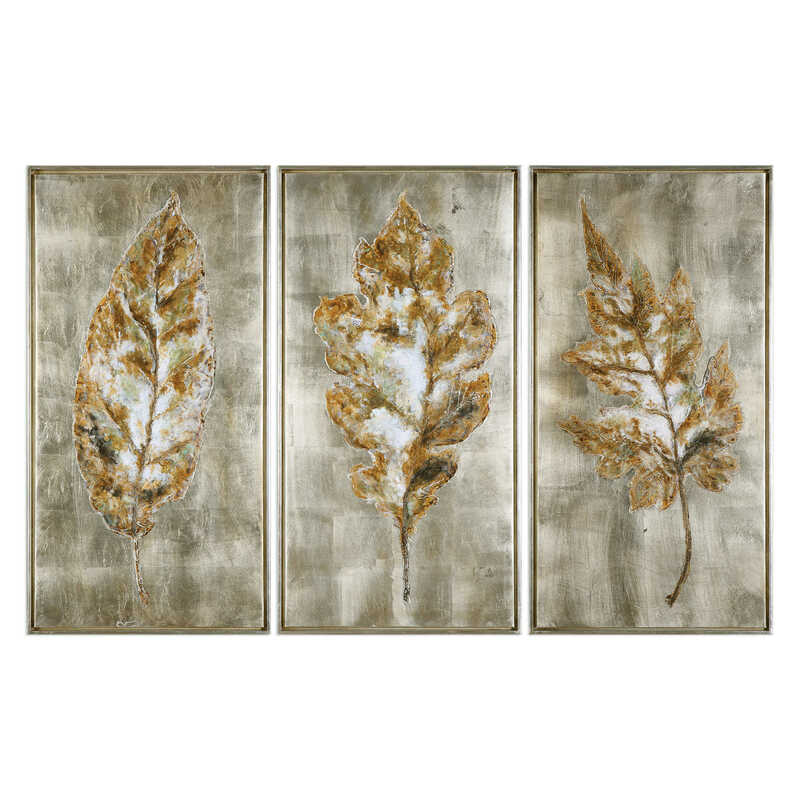 Gold, bronze, and cream colored leaves are set against a bright silver background. The canvas is stretched and attached to wooden stretching bars. A slim, champagne silver gallery frame with burnished accents completes each piece. Due to the handcrafted nature of this artwork, each piece may have subtle differences.